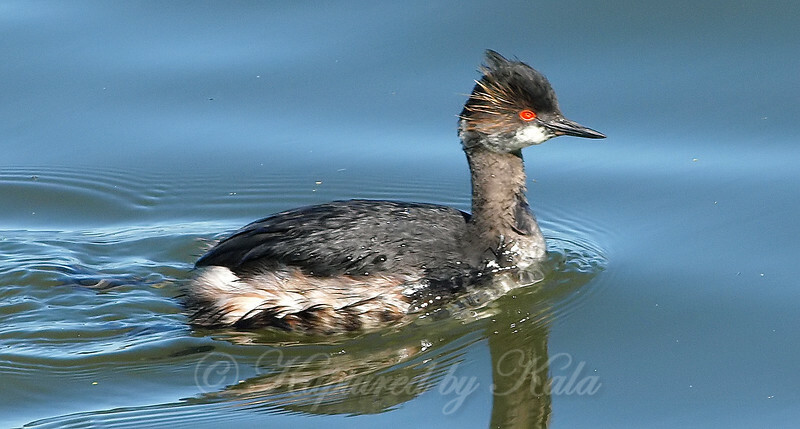 I was following this grebe along the banks and every now and then it would get a bit closer. Most of the time it stayed well out away from the bank. I have not seen one yet in full breeding colors. They migrate north before we get to see that.